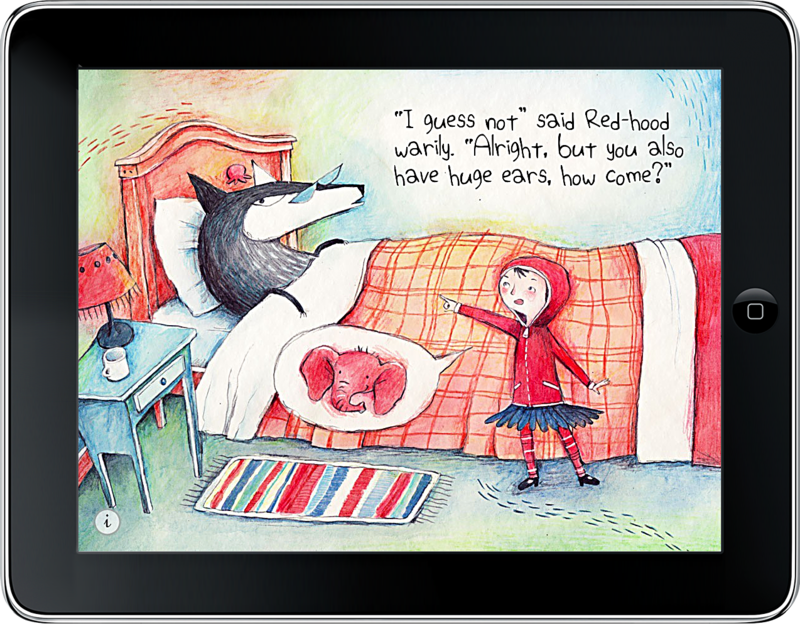 You though you knew the old Red Riding Hood story? Well think twice as this new story from BlueQuoll Digital Publishing will surprise you. The innocent Red Riding Hood hops on her scooter and sprints through the forest to bring her Grandma delicious ginger cupcakes. Unfortunately the elegant Mr Wolf lives in the forest ad he hasn’t had a succulent meal in a while… Will Red Riding Hood be able to get safe and sound to Grandma cottage? Will Grandma be there waiting for her? Will Mr Wolf get a succulent meal? Go on reading and you’ll find out. 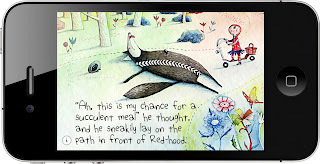 But be careful, not everything is what it seems in this quirky, fun and imaginative adaptation of an old classic tale. 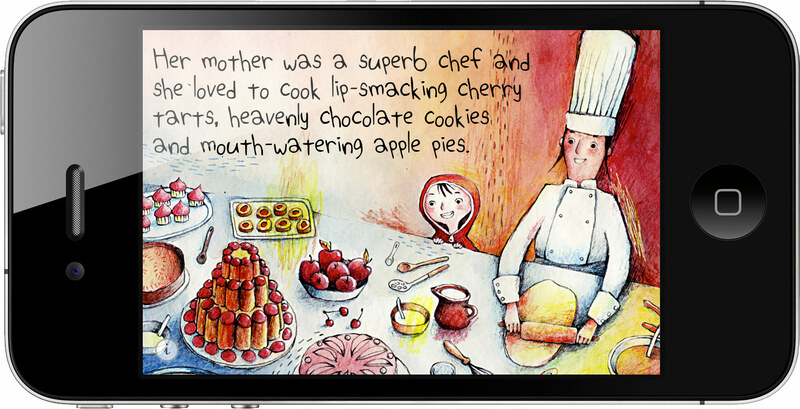 Mr Wolf and the ginger Cupcakes captures the charm of a traditional children’s book thanks to its exquisite hand crafted illustrations and transports you and your child in a whimsical world where all sorts of funky characters cohabit in harmony at the sound of dreamy jazz music. 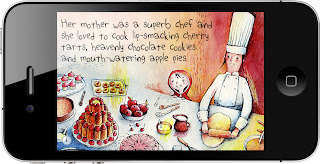 Mr. Wolf and the Ginger Cupcakes features 32 hand painted illustrations, created using watercolors and colored pencils, carefully digitized to make sure each page maintained a painterly feel on the screens of the iDevices. 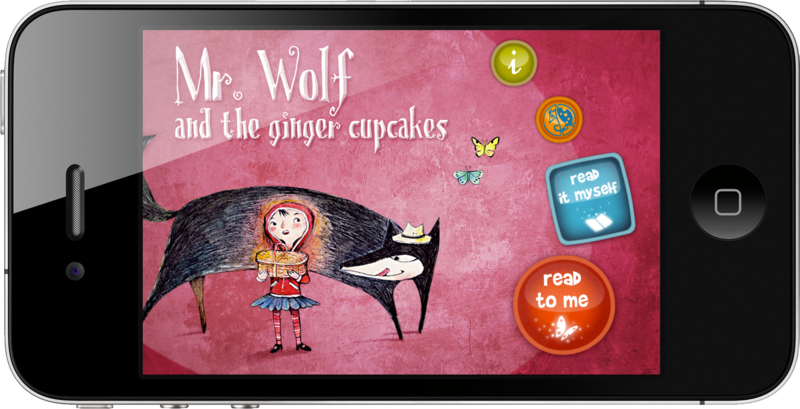 Mr. Wolf and the Ginger Cupcakes is a universal App specifically coded to display flawlessly on any iDevice. 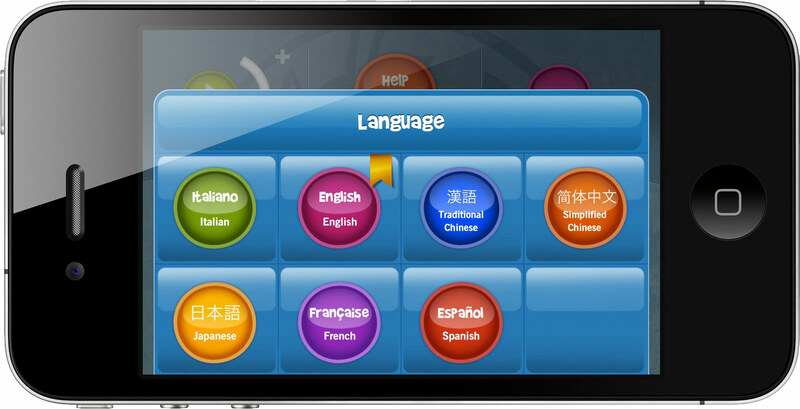 It is multilingual in a very proactive way. We made intentionally easy to switch on the fly between seven different versions (English, Italian, French, Chinese traditional, Chinese simplified, Japanese and Spanish) to encourage children and parents to explore the different versions and use the App as a tool for familiarizing with new languages. 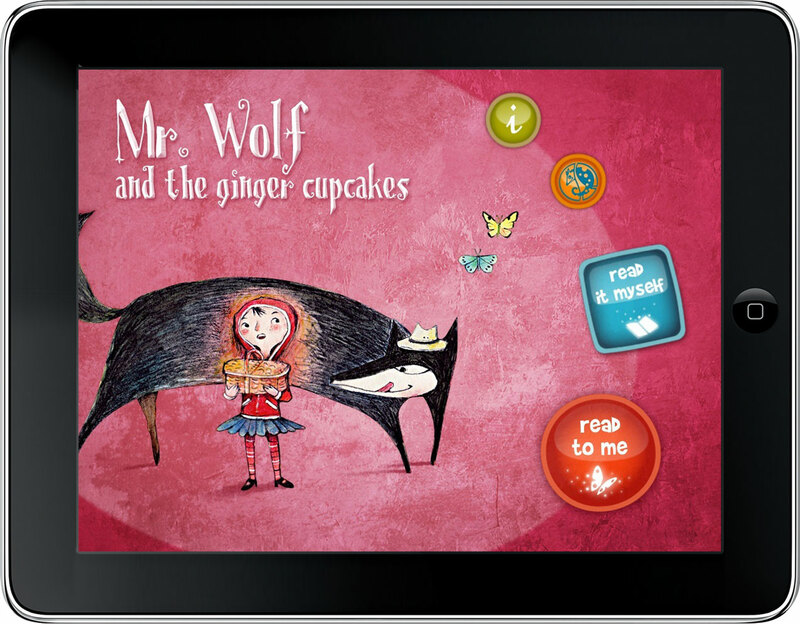 Mr. Wolf and the Ginger Cupcakes has an interface that is simple to use, intuitive and fun and allows a quick and satisfying navigation, without getting in the way of the book experience. “We strongly believe that no matter the technology used, the most important thing about creating engaging children’s books is the quality of the reading experience” says BlueQuoll co-founder Vincenzo. 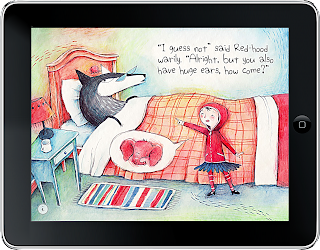 “We think that story reading goes a long a way in fostering that special relationship between parents and children and we didn’t want to dilute this aspect in our apps. 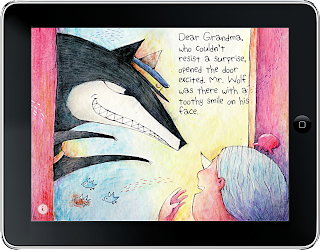 This is why the core of our App experience is an artistic and enchanting narration for parents and children to enjoy together over and over”. 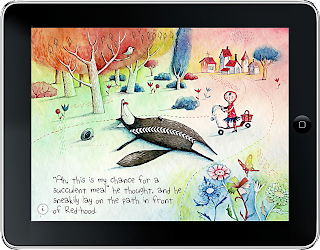 Read to Me – plays like a movie, pages turn and text is read automatically by narrators. Ideal for younger readers and pre school children. 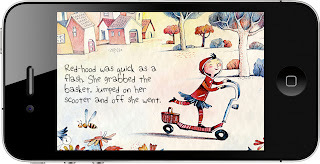 Read it Myself – read the story like a real book. You control the turning of the pages and the text is not read aloud. However you can tap the text to hear it, if you want. 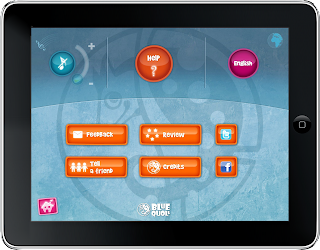 App availability Mr. Wolf and the Ginger Cupcakes is a universal App available on the App Store for iPad®, iPhone® and iPod touch® beginning the 5th of May 2011 in the following languages: English, Italian, Traditional and Simplified Chinese, French and Spanish. A LITE version of the App with the first ten pages of the story will be available for free on June 2011. Mr Wolf and the Ginger Cupcakes is the first in a planned series of new digital books for children ages 4 and up, based on traditional tales but with a new and exciting spin to them. 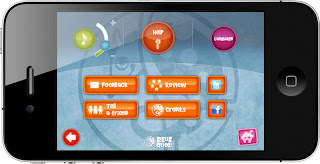 About BlueQuoll. Blue Quoll is a Brisbane-based children’s book App publisher founded in 2010 by acclaimed italian illustrator based in Australia, Lucia Masciullo and her entrepreneurial partner Vincenzo Pignatelli. The core team includes US based, talented iDevice developer Adam Shaw and the exceptional, Italian based, graphic designer Carmela Pignatelli. 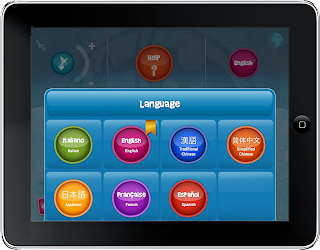 The core team collaborates with a group of enthusiastic translators and voice over artists that significantly contribute to bring BlueQuoll Apps to life. The media kit contains: the press release for Mr. Wolf App (pdf), high resolution .png screenshots of the App both for iPad and iPhone, high resolution .jpg BlueQuoll LOGO, 512x512 App Icon.